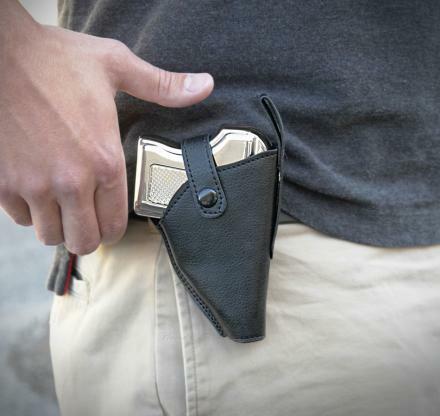 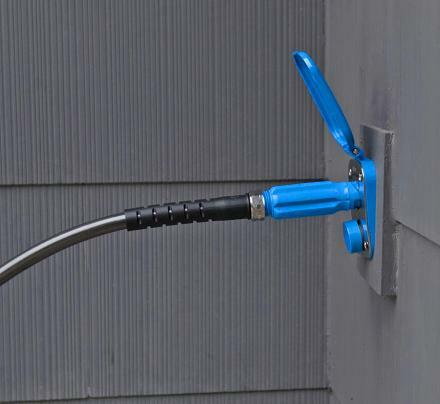 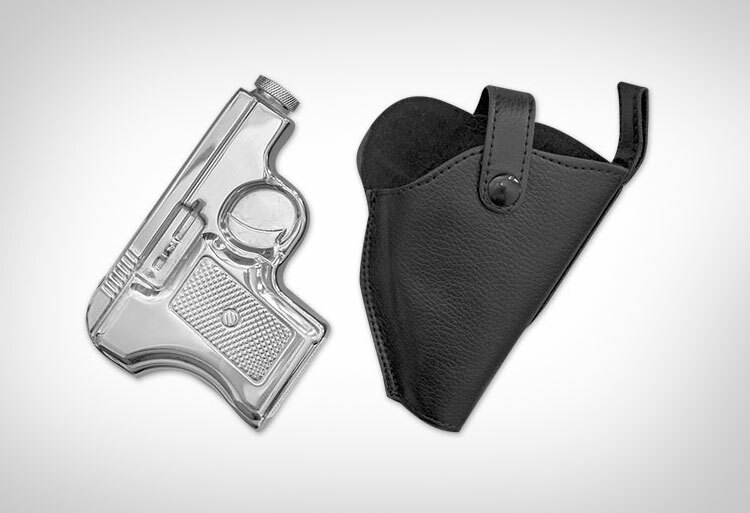 The pistol flask is a flask that looks just like a mini pistol and comes with a belt holster so that you can carry it around with you everywhere you go and then get tased by the first police officer that spots it, although it's probably still not as gutsy as using the Gun Shaped Shift Knob. 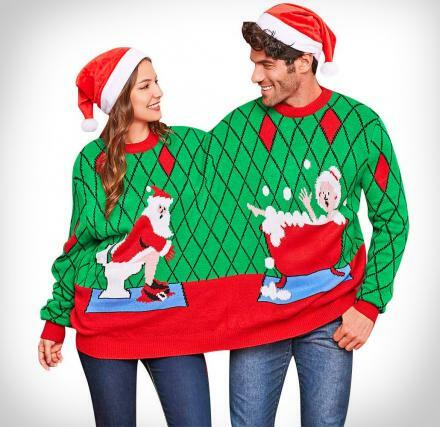 Every time you take a swig from your flask everyone around you will assume your about to kill yourself and will prepare themselves for the splash of blood that will discharge from the back of your skull, it's fun for the whole family... 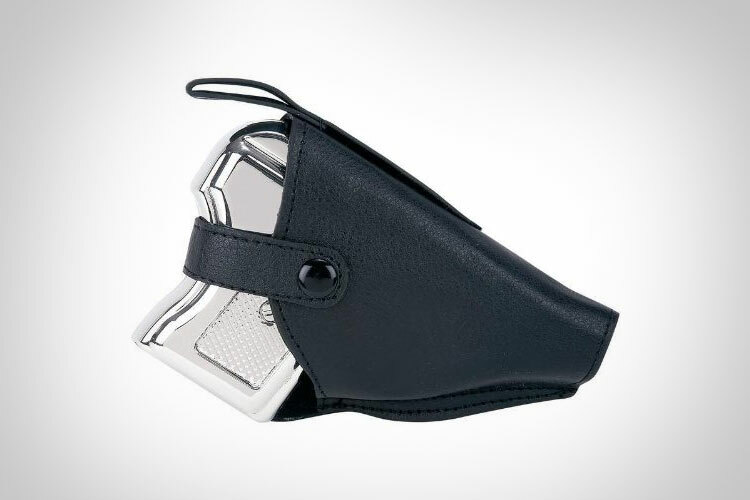 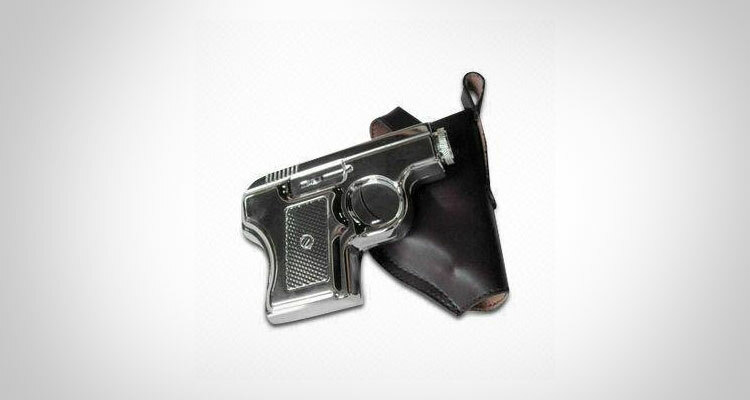 The gun flask with belt holster can hold up to 6 oz of your favorite booze, is made from stainless steel with a screw off cap and a faux leather holster, and measures 5 inches x 2.75 inches x 1 inch. 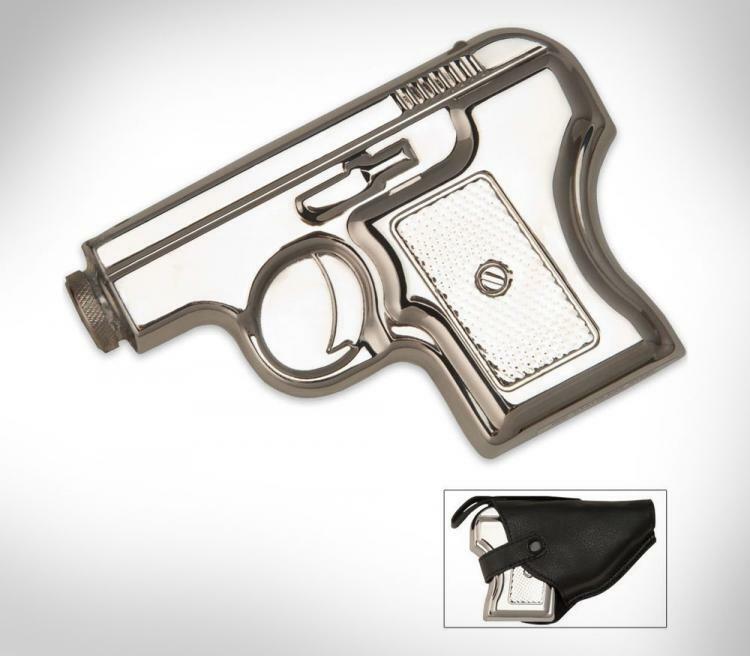 Also, if you're into weird or unique flasks be sure to check out the Giant Flask, the Shot Flask, or the Tampon Flask.